CV Keskus tööpakkumine Australia for skilled professionals and qualified specialists! 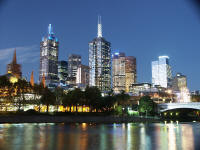 Australia for skilled professionals and qualified specialists! - be over 18 and under 45 years of age. - have recent skilled work experience or a recently completed eligible Australian qualification. Applicants must nominate an occupation from the Australia's Skilled Occupation List (SOL) to be eligible to apply under the GSM stream. Prior to applying for a visa the applicants must have their skills and qualifications positively assessed by a relevant Australian assessing authority. Family members (spouse and children) can be included into the visa application. Preliminary assessment of your eligibility to migrate to Australia under the General Skilled Migration visa categories. Expert advice and comprehensive assistance on all aspects of application for skilled migration to Australia. Efficient assistance with all matters relevant to visas applications and lodgment procedures. Professional assistance and representation on your behalf in all dealings with the Department of Immigration and Citizenship of Australia (DIAC) from the initial interview, compilation and lodgment of your application, dealing with queries, through to the grant of visa. 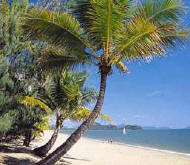 Assistance with relocation to Australia and comfortable adaptation upon arrival. Please, contact «Toreon Grupp» for all queries: Tel: +(372) 620 7576, +372 56 667 064 Skype: leljuhh, toreon1 www.toreon.ee To apply please email your CV in ENGLISH or RUSSIAN.